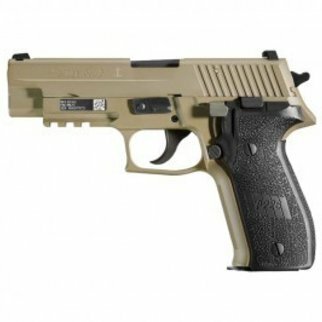 Home » Sig Sauer P226R - 9mm, 4.4"
Sig Sauer P226R - 9mm, 4.4"
The Sig Sauer P226 is the pistol that set the standard by which all other combat handguns are measured. 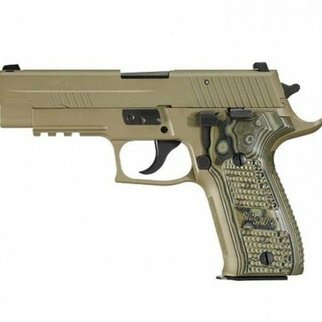 Designed as Sig's entrant in the military trials to replace the 1911, today the P226 is the sidearm of choice for many law enforcement, military, and government agencies around the world, including Canada's own elite Joint Task Force 2 and the U.S Navy SEALs. Exceptional ergonomics - with all the controls in the right places and easily accessible without breaking the firing grip - and balance make this full-size pistol easy to manipulate and handle. 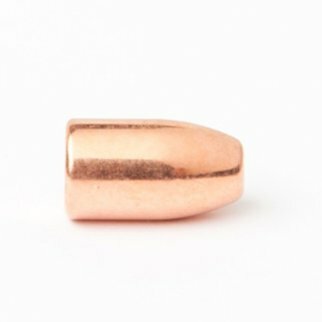 Sig's E2 grip, introduced several years ago, has now transformed this once bulky pistol to a comfortable size for added performance without sacrificing any of the desirable features of this firearm. 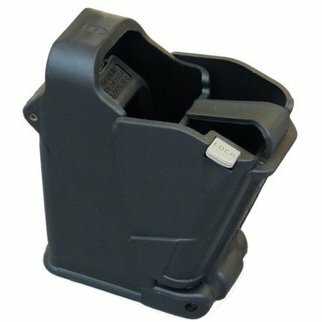 Sig Sauer uses a four-point safety system, which employs a patented automatic firing pin safety block, a safety intercept notch, trigger bar disconnector, and a decocking lever, eliminating the need for an external safety and simplifying the draw procedure for these firearms. This model comes with a bottom rail and contrast sights. Trigger Weight: DA = 10 lbs. / SA = 4.4 lbs.